HOPPY ANNIVERSARY: I’m wrapping up my report from WhiskyFest Chicago with this shot from Goose Island Wrigleyville Brewpub. 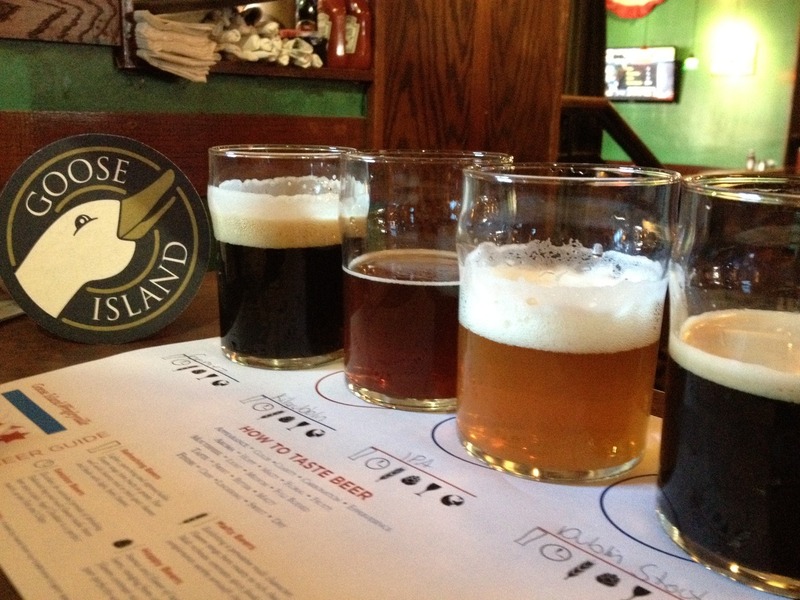 Goose Island Beer Co. celebrates 25 years in business this year. Although purists went crazy when Anheuser-Busch bought the brewery two years ago with plans to make it a national craft-beer brand, we found that Goose Island was still serving unusual tasty beer when we visited in May. Case in point, that dark beauty on the left: The Gomez, a Russian Imperial Stout created by Erwin Gomez, the winner of Goose Island’s “Quest for the Imperial Goose” homebrew competition.